BATON ROUGE, LA. 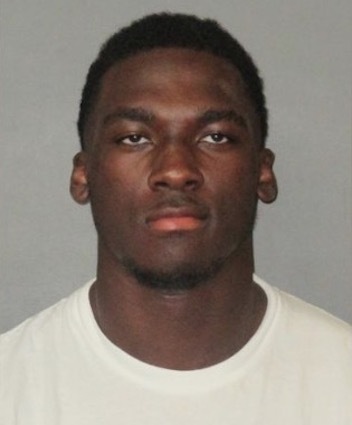 (THECOUNT) — LSU football player, Drake Davis, is accused of punching his girlfriend so hard, it broke one of her ribs. Davis, a 6 feet 4 inches tall – 220 pound junior wide receiver – was booked into East Baton Rouge Parish Prison on a count of second-degree battery. Davis is accused of breaking one of the woman’s ribs in April. He also is accused of strangling her, punching her and ripping an earring from her ear during an attack in June, according to the warrant. The victim told police said Davis punched her in the stomach at his house in May 2017. On another occasion, Davis choked her in his car because he was upset over her “waving at a friend,” according to the warrant. This is a developing story. Check back for updates as they are made available.